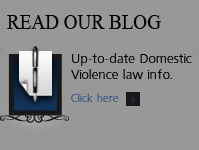 Colorado Domestic Violence and False Allegations of Child Abuse - Denver Criminal Attorney Specializing in Domestic Violence Cases - Colorado Criminal Defense Lawyer. Often, in the context of alleged domestic violence, the “victim” will allege that his/her abuser also has abused their children. Understanding these allegations of child abuse is critical to defending these false charges in a court of law. Allegations of in-home molestation/abuse seem to cause the most severe conflict with the system. There are many reasons for this. Child molestation is a societal taboo. It causes extreme emotional upheavals in the family, internally, and for family members in relation to society at large. Allegations of molestation provoke bias in everyone with the system. Molestation can rarely be proven. Molestation leaves no physical evidence. Because it can rarely be proven, the system seems determined to err on the side of assuming guilt – that which cannot be proven to be false must be true. This is an aberration in our system of justice. The justice system, particularly the dependency process, has “bought into” this therapeutic model. The legal system’s traditional truth-finding tools – witness confrontation, cross-examination, restrictions on hearsay and “expert” testimony – have been abandoned in a rush “to protect”. However, when truth suffers, as it has, the system fails to protect and ultimately harms the innocent child as well as parent. In many cases, those who deny molestation are guilty. However, in many other cases, those who deny are, in fact, innocent. Ironically, “denial” is taken as evidence of guilt unlike any other area of our judicial system. The dependency process focuses on the child as an object of molestation or abuse. Precise issues relating to the alleged abuser and the abusive incident lose their focus and become nearly irrelevant. Once the system musters sufficient cause to suspect molestation, the child becomes a ward of the system and the family is forced to comply to its dictates or suffer the loss of the child. If the court believes a act of molestation has occurred and the family member could have been responsible a “true finding” is made and wardship declared. If a father denies molestation and a true finding is made, he suffers the ultimate Catch 22 – he can either admit and take a chance that the department will allow him to begin reunification with his family or he can deny and no reunification will occur. But the irony does not end there. If the spouse supports her husband’s denial, she is “accommodating his denial”. If she accommodates this denial, she cannot be trusted to protect the child and she too will not be allowed to reunify with the child. Even when the mother believes the molestation occurred and wants to protect the child, a current assertion is that the mother must have known all along and failed to protect. That then becomes a protective issue and reason to remove the child from the mother. Still worse, if the child denies the molestation, this can be seen as part of a “child abuse accommodation syndrome” and an additional reason why the child should have no contact with the parents. The child may be diagnosed as “multi-phasic” dissociative, or “in-denial” and thus unable to remember the experience. Thus, all members of the family can deny a false molestation allegation and, in each instance, the system uses the denial as evidence of guilt. Child Abuse Accommodation Syndrome has been used excessively to explain “denial”, “recantation”, “disclosure” by children after they have spent months in therapy. The Pennsylvania Supreme Court in Com vs. Dunkle 604 A.2d 30 1992 reversed the lower court and found that admission of expert testimony on this syndrome was reversible error. The Court noted that the expert did not relate any of her testimony to the child in question. Finding that “abused children react in myriad ways and that abused and non-abused children often exhibit similar behavior problems, the court fount that “(T)he existence of a child abuse syndrome as either a generally accepted diagnostic tool or as relevant evidence is not supportable “and therefor inadmissible. The court also determined that the expert’s testimony failed to meet the threshold determination of relevance and probability. Finally the Court found that the expert’s testimony concerning the reasons abused children delay reporting an incident of abuse to family members, why children omit details of the abuse and why a sexually abused child may be unable to recall dates and times of abuse were “not beyond the realm of the average layman” and, thus, were inappropriate subject of expert testimony. The system has responded with therapeutic “deniers groups” designed to induce admissions. For example, in the case of Alicia W., the father persisted in denying allegations of molestation, but the mother was repeatedly told by her attorney and the social worker that her only chance to reunite with Alicia was to say that she believed her husband did it. The child, who persistently described a stranger perpetrator, was not believed. In order to allow her “the freedom” to “remember” without trauma, visits with her parents were terminated until she could come up with “a more believable story.” This child was kept in court ordered therapy for two and a half years, twice a week, “dealing with the molestation”. It is a mistake to force a child to relive and keep talking about an alleged traumatic event. Further, there is little evidence that a child will repress a traumatic event. There is good evidence that a traumatic event tends to etch itself indelibly on the mind. There is no dispute within the Juvenile Dependency System that false allegations of sexual molestation during custody disputes occur and that the system fails to deal with them properly. There is, however, considerable dispute about how to handle these cases. The Jury has found that a parent making a false allegation of abuse or molestation during a custody dispute is very likely to achieve the desired result. 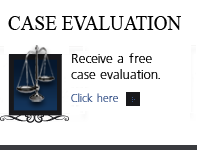 These accusations are made primarily to avoid visitation and joint custody provisions and the accuser frequently succeeds. Particularly with allegations of molestation, visitation will almost certainly be at least temporarily terminated. 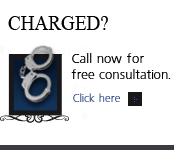 The longer the accused parent goes without visitation, the more difficult resolution of the case becomes. Parents who knowingly make false allegations generally seek to contaminate the child’s relationship with the other parent. The children are subjected to a range of contamination starting with simple personal deprecation and escalating in the worst cases to brainwashing. Parents who do this are not stable, not protective, and doing permanent harm to the child. Psychological experts testified that children lie about these issues. Recent literature reflecting studies conducted by the American Psychological Association not surprisingly concluded that some children lie and others don’t. Studies also indicate that young children can be very easily contaminated to believe that things happened which, in fact, did not occur. Witnesses from the Department of Social Services and the District Attorney’s Child Abuse Unit often hold the unshakeable opinion that children rarely lie about abuse and sexual trauma. It was disturbing that these same witnesses often concluded that a child was in denial or being protective if they denied abuse by a parent but were never lying when they accused. There are often cases where children make allegations of abuse and then later want to retract them. The children will say they had lied and were sorry. The same social workers, therapists, prosecutors, and judicial officers who believed the stories of abuse, now refuse to believe the children when they admit to a lie.